Damian has been living in Australia for 6 months. 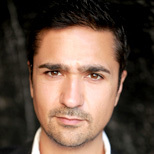 He trained at the Guildford School of Acting in the U.K. and has been working professionally for the last 19 years. His theatre credits include: Bugs (Wilderness Festival), Boiling Frogs (Southwark Playhouse), Round Two (Electricity Showrooms), White Open Spaces (Pentabus), East is East (York Theatre Royal), Bells/Chaos (Kali), The Maids (Lyric Hammersmith). TV includes: Psychoville (BBC), The Bill (ITV), Doctors (BBC), According to Bex (BBC), The Art of War (BBC), Being April (BBC), Strange (BBC), Hetty Wainthropp Investigates (BBC). Film includes: Snared (Dooper TV), Naked in London (Nil Productions), Cool Blokes Decent Suits (Lappaman), Bollywood Queen (Enterprise films). He is chuffed to be involved in this show, his first acting gig in Australia. Sean graduated from WAAPA in 2009. 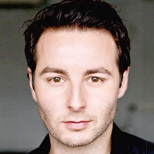 Sean has appeared with Bell Shakespeare in Much Ado about Nothing (2011) and Actors at Work (2010). Other theatre credits include Titus Andronicus with Cry Havoc and The White Divers of Broome for Black Swan, which had its world premiere at the Perth International Arts Festival this year. Sean is a proud member of equity since 2009. 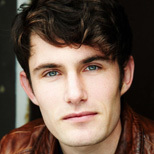 Brett Rogers graduated from the National Institute of Dramatic Art in 2009. Some of his theatre credits include The Temperamentals (New Theatre), This Uncharted Hour (Performing Lines), Boats (Terrapin Puppet Theatre Company), Trolley Boys (Tamarama Rock Surfers) and The Popular Mechanicals (NIDA). 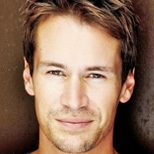 Brett has appeared in the feature films Before the Rain and Jimmy Tennison; the short films Dark Decisions and City Limits and the ABC TV series Rake. Originally from Tasmania, Brett performed with companies such as Big Monkey, Hobart Rep and the Tasmanian Symphony Orchestra. Brett is a member of MEAA. Matt is a graduate of NIDA. He has had leading roles on television in Rake and The Cut for ABC, Legend of the Seeker for Disney USA, and Headland and Home and Away for Network 7; and in the international film The Children of the Silk Road which filmed in China and Australia. On stage Matt has appeared for Bell Shakespeare Company in Romeo and Juliet and Much Ado About Nothing, Griffin Theatre Company in Colder and Bug, Sydney Symphony in Midsummer Nights Dream, Picture This Productions, Stories Like These & Tamarama Rock Surfers for Sydney Ghost Stories, and Peach Theatre Company in Othello.